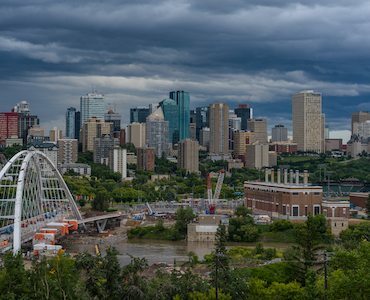 As the capital of Alberta, Edmonton is a busy city with a lot of opportunities, despite its northern location. With a thriving university, a still very active petroleum industry, and a vibrant cultural scene with festivals throughout the year, there’s a lot that this city can offer personally, professionally, and even for people looking to start a family. However, to fully take advantage of everything that the city has to offer, it can be vital to have a clean criminal record. Many job prospects, volunteer options, and even travel to the United States for work or business can be impacted by whether you have a criminal record or not. If you do, you may find life more difficult, but that’s where Pardons Canada, a non-profit organization can help. For the complete removal of a criminal record, this requires a process now known as a “record suspension,” though many people are more familiar with the old term, “pardon.” This process actually purges the presence of a criminal record from the Canadian Police Information Centre or CPIC. Under normal circumstances, this now means that any Canadian that is willing to pay the amount required to run a background check legally will now find nothing in the CPIC. The same is also true for the American Customs & Border Patrol, assuming they have never checked a particular record before. This makes many aspects of professional and personal life much simpler and easier. The American Customs & Border Patrol, or CBP actually has the legal right to conduct a background check on any incoming Canadian traveler if they suspect there may be a security issue. Of course, this doesn’t mean every single Canadian is checked at the border or an airport, but every single Canadian is legally required to submit on request. If you have a criminal record and this comes up on a background check, you may be banned from entry into the U.S.A. If that happens, only a U.S. entry waiver or I-194 will allow you to enter the country without repercussion legally. Getting a record suspension won’t help if you’ve already been entered into their system, as having a criminal conviction. If you need to travel regularly to the United States and you have a criminal record, you need this document. Even for people who don’t actually have a criminal record, it’s possible that your record may not be as clear as you think it is. In cases where an arrest has happened, fingerprinting has occurred, charges have been laid, and a trial has taken place, these can all be found in a background check. Even if your trial was successful, with a dismissal, or an acquittal by the jury, stay or proceedings, peace bond, absolute or conditional discharge, the fact that you were arrested and charged could still be looked up in a criminal record background check. However, a file destruction can clear out these last remnants. If you are thinking of getting a record suspension, need a U.S. entry waiver, or would like to clean up the last “leftovers” of an arrest, the processes to do so can be complicated and take some time. Pardons Canada knows exactly what to do, and we can help in this regard. Contact us with your case, and we can help to plan the process and help with getting the documents required to ensure that when you apply, you get what you need.